I know in the last post I said that, despite a lot of work and research, neither Samsung nor Nokia looked like it was close to utilising flexible screens in devices. In fact, I even had official word from a rep at Nokia World that they are still very much in the prototype stage and the potential venture needs much more investment. Apparently though, that is not the case with Samsung…. 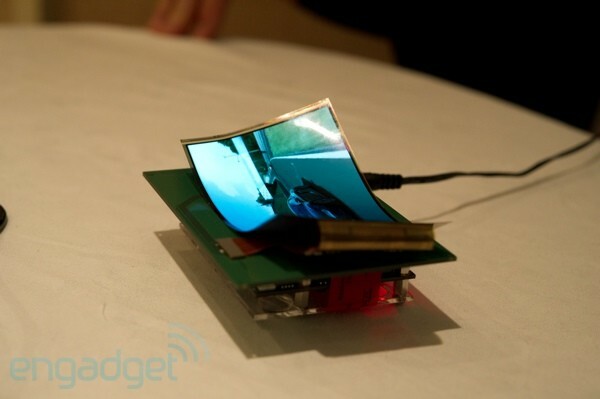 The Korean conglomerate, who showcased it’s bendy offering at CES 2011, is planning to include these in handsets as early as next year, with tablets following closely behind. I can’t wait for the Rolf Harris-esque wobble board impressions to begin.